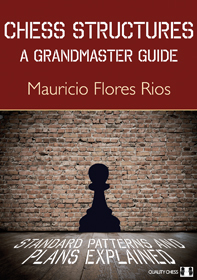 Today Chessable released another of our books in their format – Chess Structures by Mauricio Flores Rios. Mauricio put a huge effort into creating the structure and content of his book, and Chessable have also put in a special effort – they have added over 600 trainable exercises with annotations. I am reliably informed that this is by far the biggest upgrade that Chessable has given any book. As usual with Chessable, there is a discount available for the first ten days, so if you are interested, go for it soon. Many of you have bought our books (and no doubt some other publications) on the Chessable platform. We like what Chessable are doing and we plan to make more books available on their format. Considering that the concept of “spaced repetition” is central to their approach, it is no surprise that The Woodpecker Method has been an especially big hit with the Chessable audience. Yesterday, Chessable informed us of an important new technical feature which will enhance the user experience, especially with the Woodpecker and other exercise books. See their blog post for a full explanation. To summarize it briefly, you can now customize the number of days and intervals between solving cycles in a way that was not possible before. This obviously fits perfectly with the method advocated by Smith and Tikkanen, but it’s a useful feature for other books too, and we applaud them for continually improving their product. Once again, we encourage anyone interested in Chessable to check out their blog post for a more technical description of the recent upgrade. 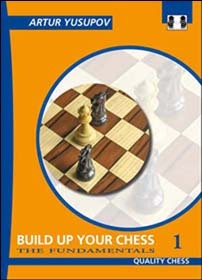 Today is the publication day of Artur Yusupov’s Build Up Your Chess 1 on Chessable. Yusupov’s series was, I believe, top of a Chessable users’ poll as the books they most wanted to see on Chessable. So I hope they are happy to see it. As is normal on Chessable, a new release is introduced at a sale price that lasts just over a week. So if you are interested in this version, I suggest going for it soon. 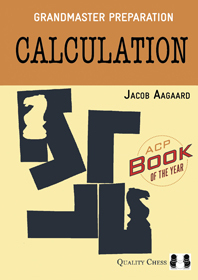 The latest Quality Chess book available in the Chessable format is GM Jacob Aagaard’s Calculation. If you are interested in this book in this format then it is best to act within a week, as it is Chessable tradition to offer the course at a reduced price for the first week. If you have bought any of our books in Chessable format then I am interested to hear what you think about it. This is only the third book we have put on Chessable (after The Woodpecker Method and Small Steps to Giant Improvement) and so far feedback seems highly favourable. This is the second of our books we have tried on Chessable after an experiment with The Woodpecker Method as mentioned in a previous blog post. The feedback was favourable, so let’s try another book. On Monday 24th September we will release a Quality Chess book in what for us is a new format: Chessable. In case you are not familiar with Chessable, I offer a couple of extra links: the first about Chessable and the next about the science behind their methods. My summary: Chessable offers chess courses that are accessible online, and uses a technique based on “spaced-repetition”. When we decided to experiment by putting one Quality Chess book on Chessable, we needed to decide which book. So, learning and improving using repetition: does that suggest any recent Quality Chess book? 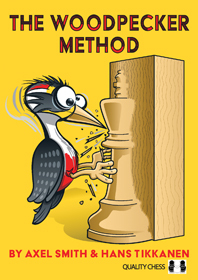 The Woodpecker Method will be available on Chessable from Monday 24th September. The normal Chessable price will be the same as our book, though I would suggest keeping an eye out for an introductory sale price, which is a Chessable tradition. If this experiment is a success, then we may try other QC books in Chessable format.